Vitamin D is a fat soluble vitamin, which is stored in the fatty tissues inside the body. It is an important vitamin for bone growth. It increases the flow of calcium into the bloodstream by letting it absorb the calcium from the food. 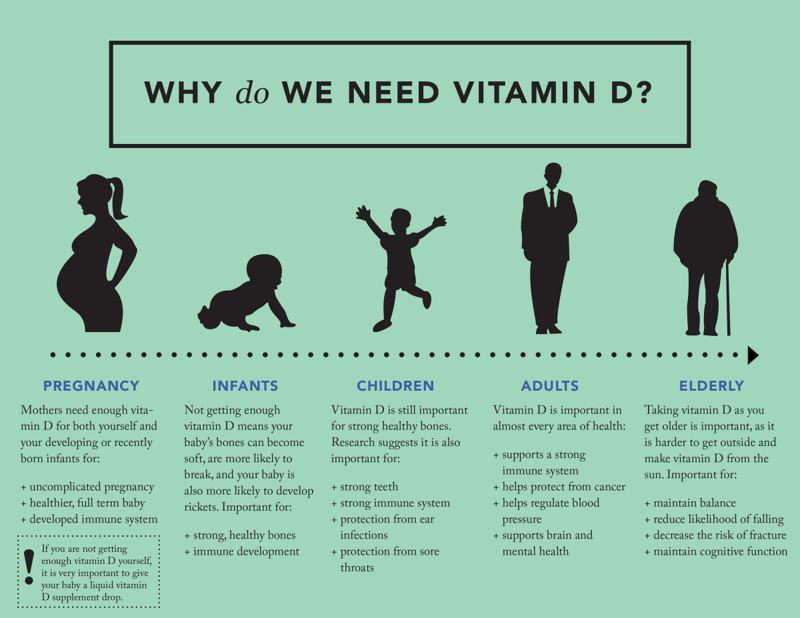 Maintaining a balanced amount of vitamin D in the body is essential from childhood to adulthood. It helps prevent diseases such as rickets among children. Vitamin D also helps maintain stronger bones in adults. Vitamin D can also boost the body’s immune system and maintains the proper functions of other organs. Moreover, studies show that Vitamin D may also offer protection against Parkinson’s and Alzheimer’s disease.